Here’s the same bird with his head turned; now these feathers just look black. These pictures were taken at the Andril Fireplace Cottages in Pacific Grove, California. 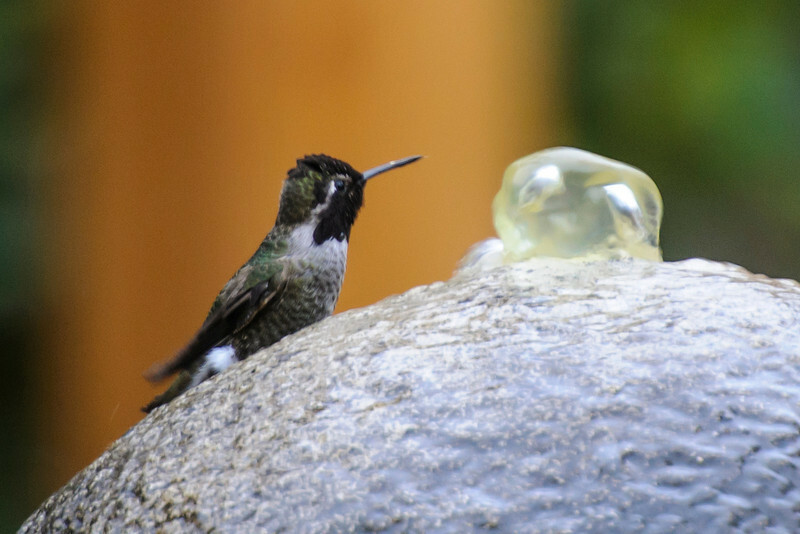 This hummer was perched on a water fountain in the courtyard. The fountain was a concrete ball with a hole in the top where water bubbled out and ran down the sides. At first I wasn’t sure why the bird was there but then he repeatedly pressed his body down into the water and I realized he was bathing! 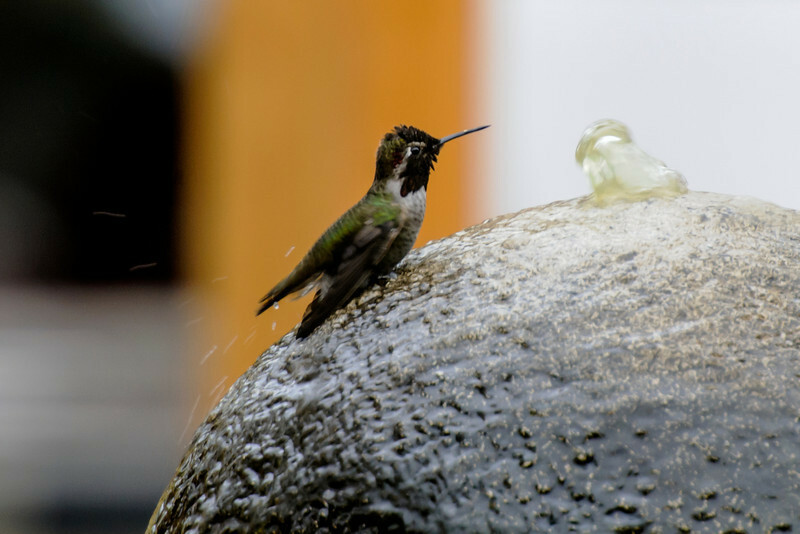 Here you can see water drops flying as he used his wings to splash water over his body. 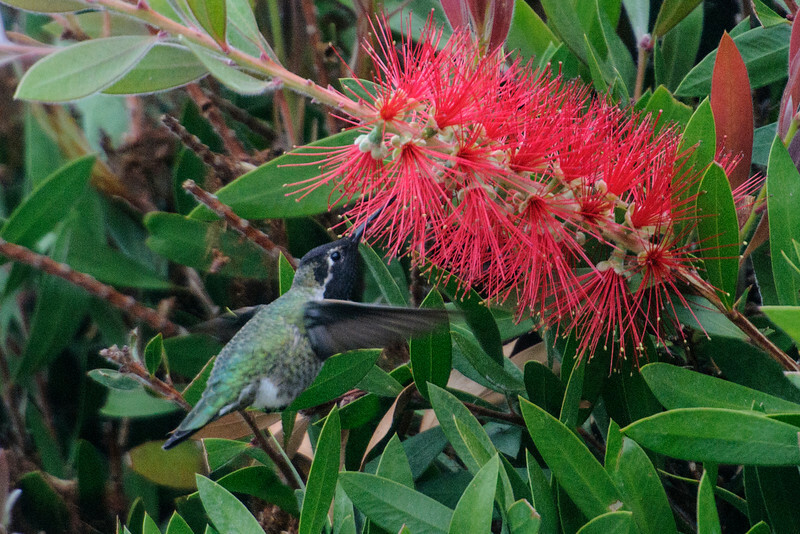 The nectar from these bottle brush flowers was popular with the hummingbirds. They also eat lots of spiders and other insects. This photo gives a good view of the iridescent feathers on the head and neck. Of course they’re black in this picture because the light is not from the right angle. Also note the white eye stripe, another distinguishing feature of this species. 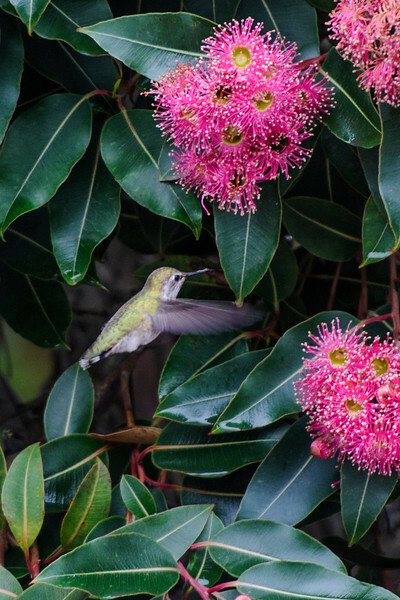 This flowering tree was in full bloom when we visited the Mendocino Coast Botanical Gardens in Fort Bragg, California. 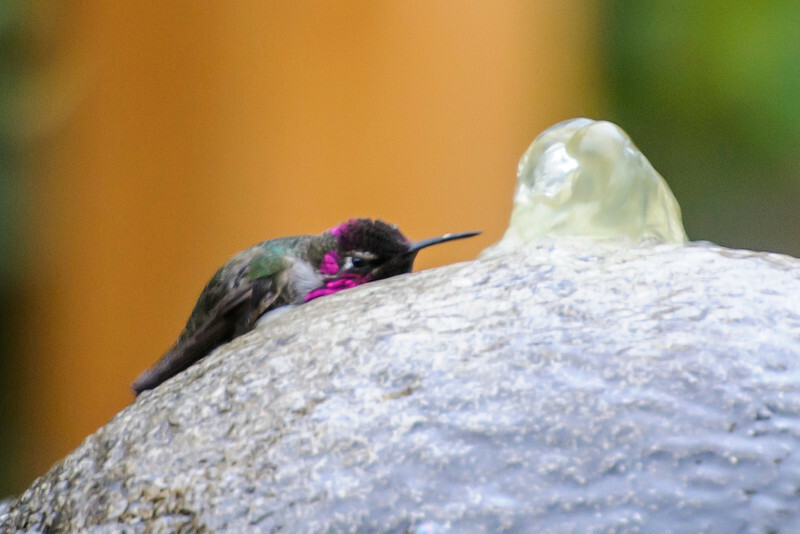 There were lots of Anna’s Hummingbirds buzzing around this tree and here is one of the females. 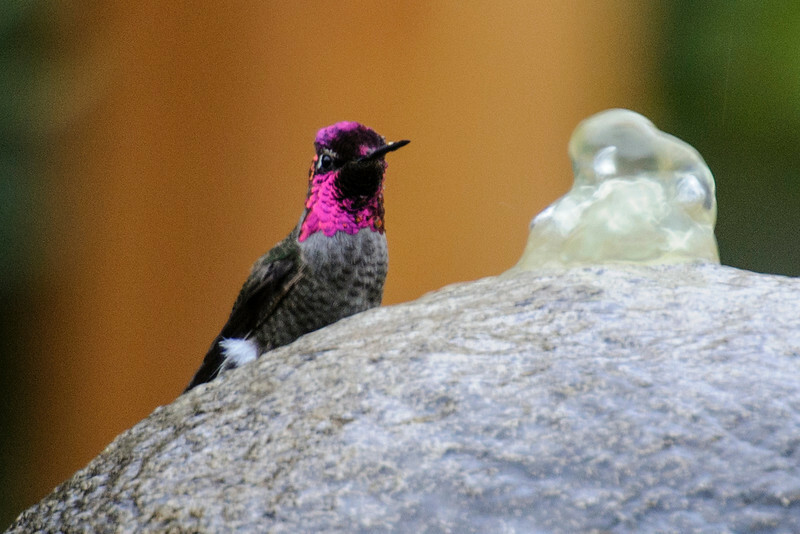 Anna’s Hummingbirds are found all along the west coast of the United States and in southern New Mexico. Most of them stay where they are year-round but some migrate to northwestern Mexico for the winter. Add a comment in the space below.